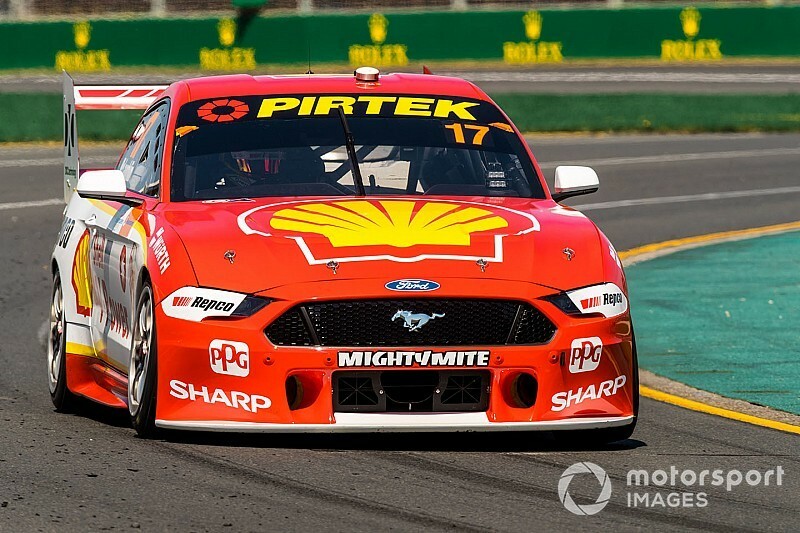 Scott McLaughlin won the opening Supercars race at Albert Park, as a late mechanical issue for Shane van Gisbergen left Mustangs occupying the top five spots. The top three Fords bolted in the early stages of the 25-lap race, with little between leader McLaughlin and Fabian Coulthard and Cam Waters behind him. However there was quickly a big gap back to everyone else, fourth-placed van Gisbergen losing more than five seconds in the first three laps alone. As van Gisbergen and the chasing pack continued to drop time, things stabilised for the runaway three at the front across the first stint. By Lap 5 McLaughlin had given himself a 1.5s cushion over Coulthard, Waters another second further back. Coulthard was first of the leaders to pit, coming in on Lap 10 having drifted to around 3s behind his teammate. McLaughlin and Waters both pitted a later later, 5s between the pair as they hit the lane. The undercut from pitting a lap earlier helped Coulthard close back to with a second of McLaughlin, while Waters almost immediately lost time on the Penske Mustangs after having to hold off Tickford teammate Will Davison, who'd stopped way back on Lap 8. From there the two Penske drivers cruised through the second stint of the race, McLaughlin unable to completely drop Coulthard, but at the same time never coming under serious threat from his fellow Kiwi. In the end they took a comprehensive team one-two, six-tenths separating them at the flag. 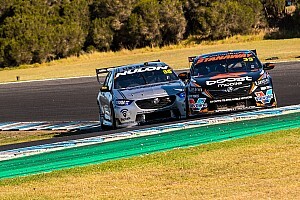 Waters had a mostly lonely run through the second stint on his way to third place, although that was somewhat helped by late drama for van Gisbergen. The Red Bull Holden driver had run deep into his first stint, pitting on Lap 15 for a charge home on new rubber. While the overcut meant he initially dropped down to sixth, he quickly cleared Tim Slade and Davison and set after Waters. His charge was then cut short with three laps to go when the #97 Commodore rolled to a stop at the first corner, struck with a suspected transaxle issue. 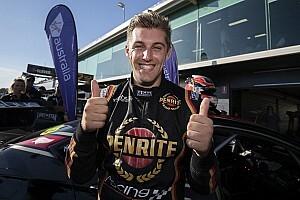 Chaz Mostert was the big mover of the race, recovering from 22nd on the grid to come home fifth. 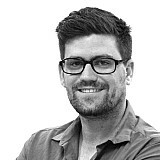 There was no strategic wizardry to his charge through the field, the Tickford driver running a balanced strategy with a Lap 12 stop. Instead he made the majority of those spots on-track, and was less than two seconds behind Davison by the end of the race. 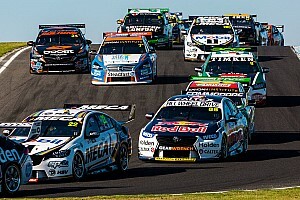 Slade was the best of the Holdens home in sixth, followed by fellow Commodore drivers James Courtney and Jamie Whincup, separated by three-tenths at the end after a race-long battle. Lee Holdsworth made it six Mustangs in the Top 10, coming home ahead of David Reynolds.